Ms Victoria Hamah, a former Deputy Minister for Communications has asked women not to patronise beauty pageants. 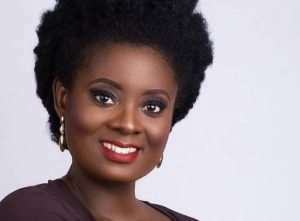 Victoria who is now the Executive Director for Progressive Organisation for Women’s Advancement (POWA) said at a book launch in Accra that beauty pageants sexualise, objectify and demean womanhood. According to her, the stereotypical concept of beauty by the pageants make women who don’t fall in their criteria lose their self-worth and pride. “We can’t continue to perpetrate the very ideas that isolate women from effective processes of engagement, by these same norms and traditions and sub-institutions that perpetuate that,” she said. Speaking at the programme, Victoria said although Inna Patty, Chief Executive of Exclusive Event Ghana, organiser of Miss Ghana, is a good friend, ideologically, their ideologies on pageantry differ, explaining that beauty pageant isolates women. She further stated that Ghana make a mistake when it organised the first Miss Ghana pageant during the country’s first Independence Celebration. “It is as if that was our relevant contribution towards the independence process. So the men fought and struggled and brought power and we (women) have to go and showcase our beauty,” she added. Beauty pageants have come under scrutiny on the back of countless allegations of pimping, extortion and sexual immorality. Meanwhile, there are some who believe that beauty contests have other importance like taking up social work projects, building one’s confidence, among others.